This conical vase has a spiral detail with 3 Swarovski crystals bonded to the side of the vase. 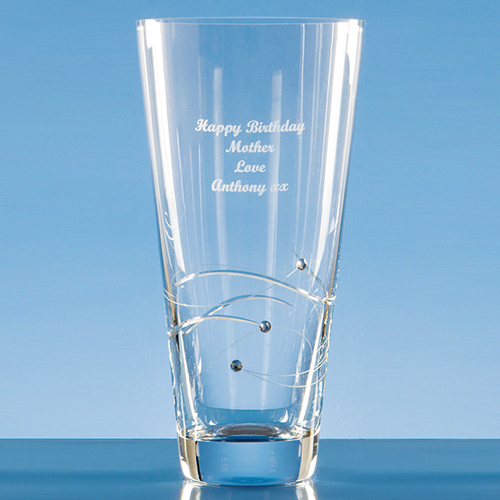 There is an engraving area that can be personalised with any logo, crest or wording making it the perfect keepsake gift for any special occasion or achievement. The vase is also available in 20cm and 30cm.